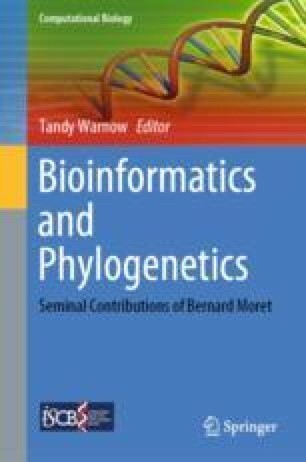 In this chapter, we present recent computational and algorithmic advances for improving the inference of phylogenetic trees from the analysis of homologous genetic sequences under the maximum likelihood criterion. In particular, we detail how the use of matrix algebra at the core of Felsenstein’s pruning algorithm, combined with the architecture of modern day computer processors, leads to efficient techniques for optimizing edge lengths. We also discuss some properties of the likelihood function when considering the optimization of the parameters of mixture models that are used to describe the variation of rates-across sites . We would like to thank Alexandros Stamatakis for helpful suggestions on how to improve this chapter and Tandy Warnow for inviting us to celebrate Bernard Moret’s contributions to the field of computational evolution.